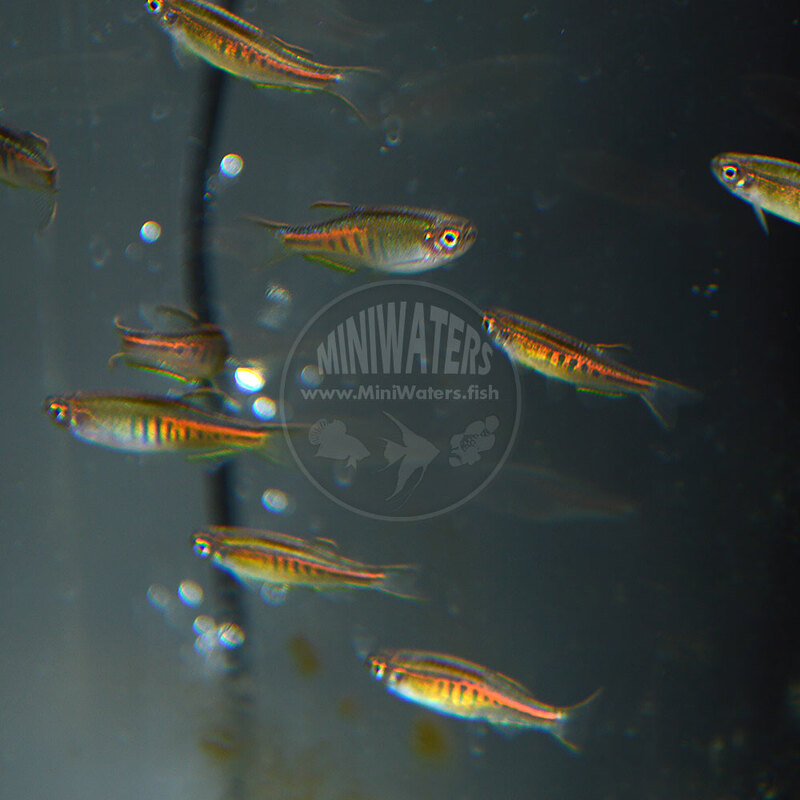 The Glowlight Danio should never be confused with the genetically-modified GloFish®. 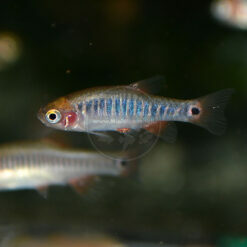 This is also not a dyed or injected fish, but a stunning naturally beautiful species. 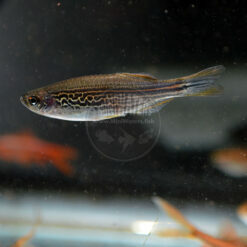 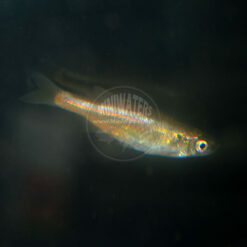 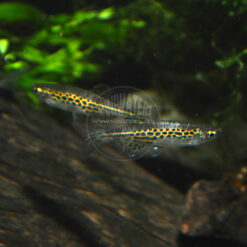 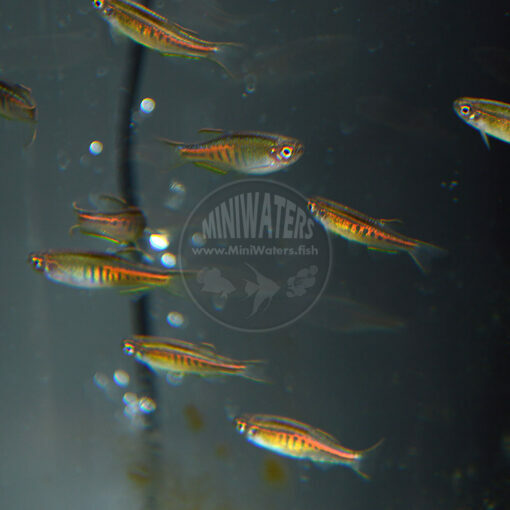 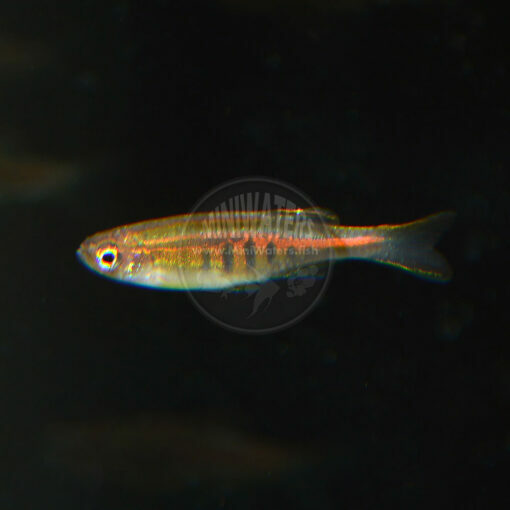 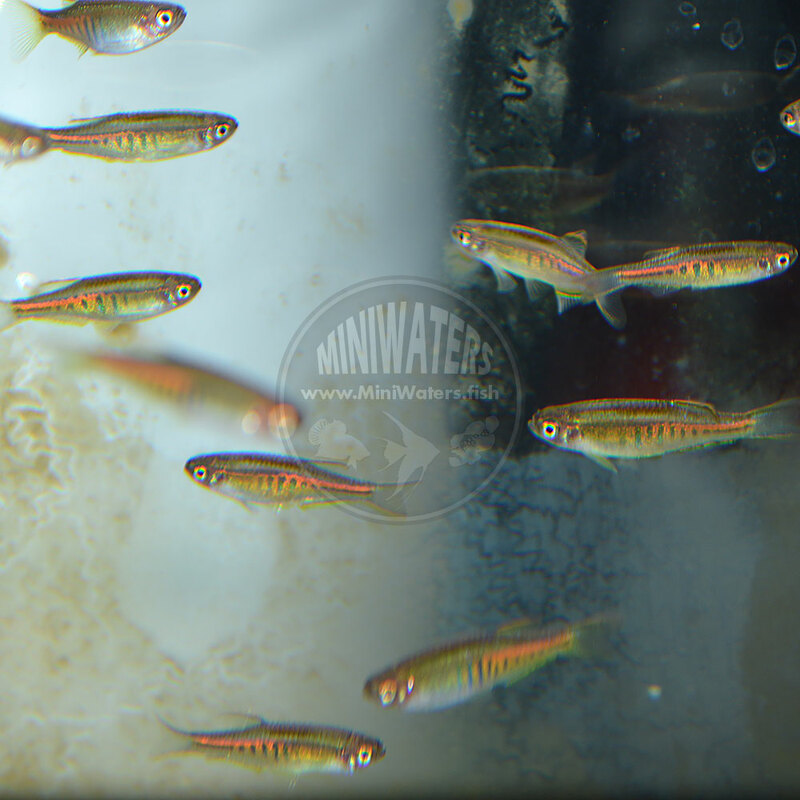 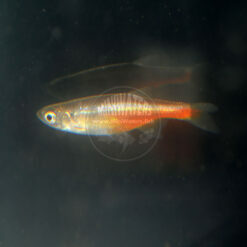 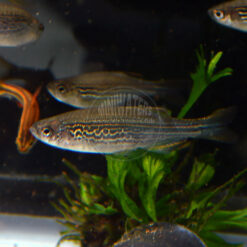 The Glowlight Danio is known for the most part as Danio choprae; this includes the currently recognized name in Fishbase. However, the website Seriously Fish makes the case that we should all be using Celestichthys danio, and also notes past names and misspellings including Danio choprai. 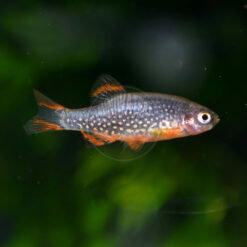 Also, do not confuse with the Glolite / Glowlight Tetra. 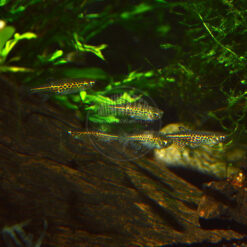 The first time I saw these fish in person was on display in a planted aquarium at a fish shop and my jaw hit the ground. 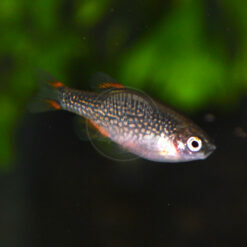 This is an instant favorite, a fish that should become one of our bread and butter species going forward. 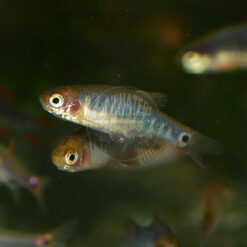 You simply cannot go wrong with a school of these! 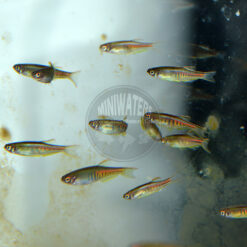 The specimens offered are usually small, young adults, around 0.75″ to 1″.